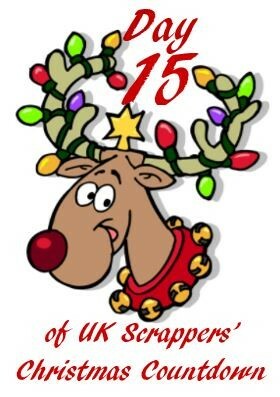 Today I am taking part in the UKS Christmas Countdown :-) Some lovely projects posted so far! The standard method is obviously quicker, it's just that I like my pattern repeats to line up with the score lines ..... LOL. The paper is from Craft Creations, the letters are from Die-namics (stitched alpha), the gingerbread man is from Tonic and the punch is from Stampin' Up.